Sirloin Tip Center Roast – Stampede Meat, Inc. This roast is both economical and lean with a good nutritional profile. 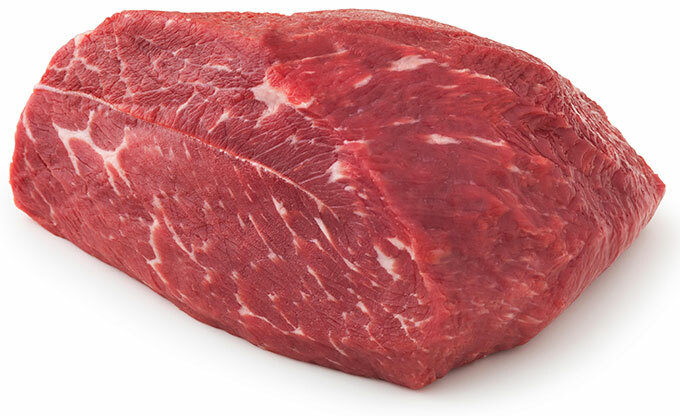 For best eating quality, cook only to medium rare (145°F) doneness and carve into thin slices. This roast also meets government guidelines for lean. Nutrition information per 3-ounce cooked serving: 148 calories; 5 g fat (2 g saturated fat; 2 g monounsaturated fat); 23 g protein; 0.3 mg vitamin B6; 1.3 mcg vitamin B12; 2.0 mg iron; 4.0 mg zinc.